(30.03) No.523 – Petko A. Petkov – Transformation of initial double battery in a complicated Disparate problem! Petko dedicates this problem to the memory of his father, Andon Petkov (1914-2014). (29.03) No.522 – Karol Mlynka – Mixed AUW with only 3 pieces! The problem is dedicated to the 60th birthday of Slovak composer Ivan Jarolín on the 31st of March. Best wishes from JF website as well! (27.03) No.521 – Chris Feather – An exotic four-men with neutral AUW and three fairy conditions! Enjoy author’s detailed comments to Mars Circe condition and to the both solutions of the problem! This problem I’ve got by postal mail.. and have thought again that there’s something special in the paper envelopes! (26.03) No.509.1 – Henryk Grudzinski – An improvement to No.509 after comment by Paul Rãican! (25.03) No.520 – Cornel Pacurar – A perfect three-phase play with a surprising construction of only 5 pieces! (25.03) No.519 – János Mikitovics – A nice hs# Miniature, Aristocrat with a difficult play! All previously published problems you can find in the subsections of Original Problems menu on the top. The judge for informal fairy tourney 2014(I) – Vlaicu Crișan. The judge for Retro and PG problems 2013 – 2014 – Hans Gruber. The AWARD of “Vladimir Zabunov – 85 MT” is published on KoBulChess.com! Thanks a lot to the judge, Petko A. Petkov, and director of tournament, Diyan Kostadinov! A new version of WinChloe solving program (by Christian Poisson) is released on 12th of March, 2014! See Readme of WinChloe 3.25 for features added or corrected. The latest update (as of 12-Mar-2014) of WinChloe Echecs database is available for those, who uses it. The number of problems has increased till 516022! 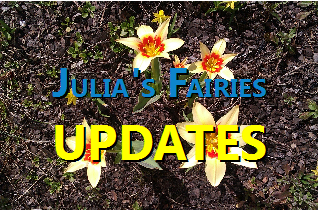 316 of original problems published at Julia’sFairies are added to WinChloe Echecs database as of 12-Mar-2014. Thanks a lot to all who does this huge work of updating and to the author, Christian Poisson!! (20.03) No.518 – Francesco Simoni – Meredith-Aristocrat with recently implemented Face To Face fairy condition! (18.03) No.517 – János Mikitovics – An interesting Miniature with difficult solution! (12.03) No.516 – Igor Kochulov – Duplex in Take&Make problem composed with neutral pieces only! (12.03) No.515 – Franz Pachl & Michael Barth – A difficult h#2 with exotic Take&Make content! (12.03) No.514 – Mario Parrinello – An excellent hs#3, Take&Make with 5 thematic half-moves in each solutions! (11.03) No.512, 513 – Kjell Widlert – a noted Swedish composer, editor of “Springaren” magazine and also the last time one of the best commentators on JF! 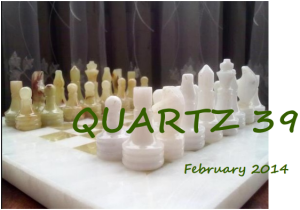 Two problems by Kjell have an uncommon fairy conditions and minimal white material. (11.03) No.511 – Eric Huber – A nice dedication and complicated to solve three-man in typical Eric’s style! Not long ago I welcomed Eric as a judge of JF-2013/III, but this time I’m happy to welcome his first publication in Original Problems section of JF! 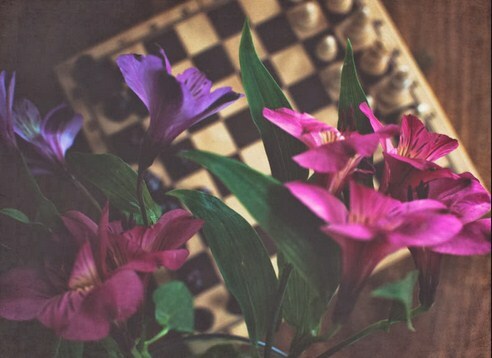 A post by Diyan Kostadinov “Woman Chess Composers” dedicated to the International Women’s Day was so nice surprise! Thank you very much, Diyan! (08.03.2014) Today is the World Women’s Day. 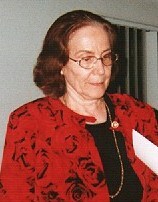 In this article you can see information, selected problems and photos of current women chess composers. Happy holiday to all of them! (08.03) No.510 – Thomas Pantalacci – Nice to see KoBul Kings condition and thematic mates! (07.03) No.509 – Henryk Grudzinski – A problem by a noted Polish master of Retro and PG genre. An interesting position in PG13 created with Pawns only! Warm welcome to Henryk! (05.03) No.508 – Paul Rãican – A very interesting Retro-Miniature and the 2nd Proca Retractor published on JF! The problem shows that there’s one more successful composer of Proca Retractor to the list given in the comments of No.495! (03.03) No.507 – S. K. Balasubramanian – A nice Meredith with 3 pairs of thematic pieces! (02.03) No.500.1 – Julia Vysotska & Petko A. Petkov – A three-solution version of No.500, full cycle!! 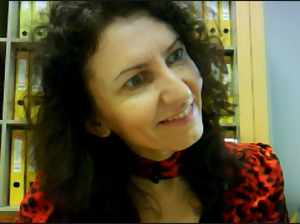 I believe that the both – my idea and your comments – encouraged Mr.Petkov to achieve this beautiful position!